A pair of projects by InvestigateWest continues FIJ’s long tradition of supporting journalism that makes a difference. Lawmakers in the states of Washington and Oregon credit the outlet for spurring change. The outlet’s investigation into Washington’s foster care system prompted new laws and a $48 million funding boost to tackle some of the system’s woes. In Oregon, InvestigateWest’s “Unequal Justice” project moved the Legislature to pass laws seeking to address the unfair treatment of people of color by the criminal justice system. FIJ couldn’t do its work without its generous patrons.We appreciate longtime funders such as the Nicholas B. Ottaway Foundation, which recently gave another $25,000. FIJ board member David Ottaway is a member of the Ottaway family. And we thank new benefactors, including the Scripps Howard Foundation, which gave $5,000 to help revamp FIJ’s mentorship program. Applicants for the current round of grants — the deadline is Sept. 25 — can request a mentor through the Submittable platform. Washington – The Fund for Investigative Journalism (FIJ) has awarded $58,500 to cover the costs of eleven new investigations being undertaken by independent reporters in the US and around the world. The grants help freelance journalists and nonprofit news centers with reporting expenses such as travel and document fees. The names of some grantees are being withheld at their request. Applications are currently being taken at investigate.submittable.com. The Fund for Investigative Journalism has raised the maximum award to $10,000. Requests for mentors are also being accepted as part of the application process. The next deadline is September 25. Applications are also being taken for a grant/fellowship program conducted with FIJ’s partner, the Schuster Institute for Investigative Journalism at Brandeis University. That program will award four grants, up to $10,000, along with fellowships at the Schuster Institute, to support reporting by diverse journalists with an emphasis on women and people of color. The deadline to apply is November 1. Massachusetts has more repeat lottery winners than any other state, and some are redeeming so many winning tickets that they’re raising questions about the integrity of the $5 billion state lottery. Massachusetts officials have long suspected that some frequent winners cash lottery tickets for others who don’t want to claim the money themselves because of taxes, child support or other debts, wrote Michael Levenson of the Boston Globe and Jeff Kelly Lowenstein, a visiting professor at Columbia last semester. The story was part of an analysis of nearly 11 million lottery records from 34 states by PennLive.com and students at Columbia University’s Graduate School. In Connecticut, a handful of big lottery winners show up again and again. 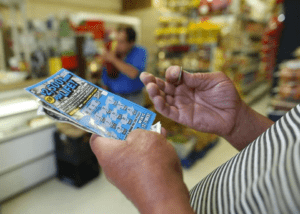 A first-ever analysis of lottery winnings dating back to mid-1998, conducted by the Hartford Courant in collaboration with students at the Columbia journalism school, found 57 people who have won $1,000 or more at least 50 times. The projects in Massachusetts and Connecticut are part of an international investigation involving reporters from Africa, Europe and the United States. 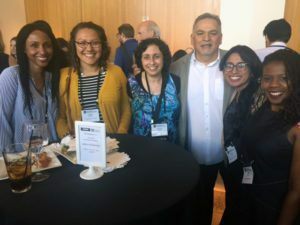 Four of FIJ’s diversity fellows came from near and far to attend this year’s Investigative Reporters and Editors conference in Phoenix this past June. For the fellows, it was more than just about learning new skills. It was also about being part of a community. FIJ Board President Ricardo Sandoval-Palos joined the FIJ/Schuster fellows for a reception. Michele Chabin traveled 6,000 miles from Jerusalem to attend the gathering. “Working from another continent, from a home office and not a newsroom, it’s easy to feel isolated,” Chabin said. Chabin was a speaker at the conference, taking part on a panel about religious organizations – a key element of her research as an FIJ/Schuster Institute fellow. Attending the conference, she said, also served as a painful reminder about how far the journalism industry has yet to go to become more diverse and inclusive. That reminder wasn’t lost on Stacy Thacker. Thacker was grateful for an opportunity to take part on a panel focusing on coverage of Native America. Of course, there was a lot of learning going on, too. Lisa Armstrong, for one, discovered new research tools that she immediately put to use. “As an investigative journalist, it’s sometimes hard for me not just to find phone numbers but other information about sources who are often reluctant to talk,” Armstrong said. Online social media networks present a new trove of information, she said. One tool in particular, StalkScan, has provided her more powerful ways of harvesting information from Facebook that has allowed her to expand a network of possible sources. Earlier this year, FIJ sent three of the seven diversity fellows to the Logan Symposium hosted by the University of California, Berkeley. 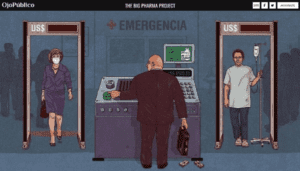 An investigation led by Fabiola Torres on behalf of Ojo-publico.com reveals the pressure exerted by pharmaceutical companies across Latin America to prolong their monopolies via diplomatic lobbying, court action and the use of the patent system to stifle competition. The result offers a glimpse at questionable practices that make it difficult for some of the region’s most vulnerable populations gain access to costly medicines. The investigation was a collaboration that brought together journalists from Mexico, Argentina, Guatemala and Colombia. Prosecutors in Louisiana are diverting traffic fines to their coffers, depriving public defenders and other agencies of much-needed revenue. An investigation by Samantha Sunne on behalf of The Lens, shows that an increasing number of District Attorneys across the state are using a pre-trial diversion program to keep traffic fines for themselves. Ordinarily, traffic tickets go through the court system and the resulting fines are divided among several agencies. But the diversion program keeps the tickets from reaching the court system, which means the fines aren’t shared with other agencies such as public defenders offices, which are already underfunded and are losing a key source of income.